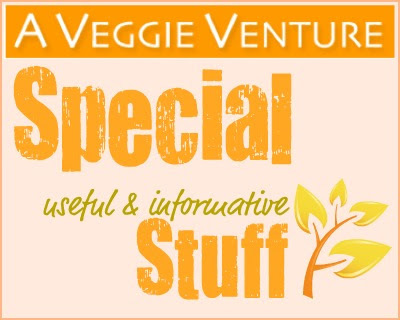 It's easy to find exactly the right vegetable recipe here at A Veggie Venture, my online collection of seasonal vegetable recipes. Most visitors start with the Alphabet of Vegetables or Vegetable Recipes by Course. But A Veggie Venture is more than vegetable recipes! It's also packed with vegetable-inspired extras. 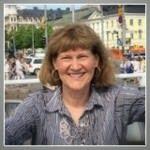 So I've created this collection of "Special Stuff" – writing and resources that I hope readers find helpful and informative now that they're in one place and easy to find. Click away, browse around. It's the new "garden" of information for vegetable lovers! What Is A Veggie Venture? 2015 What Are Root Vegetables? 2014 What Is a Tomatillo? 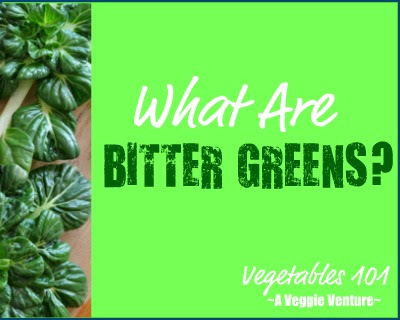 2012 What Are Bitter Greens? 2011 Vegetables 101: What Is Jicama? You Have One, Now Use It! 2011 How to Cut Corn Off the Cob, Keeping All Ten Fingers, Capturing Every Delicious Kernel and Every Drop of Sweet Corn "Milk"
2015 How to Cook Dried Chickpeas Especially for Hummus aka "Jerusalem Chickpeas"
2010 Frozen Sweet Potato Fries: Are They Worth the Price? the Calories? NEVER MISS A RECIPE – or some "special useful & informative stuff"! For 'home delivery' of new recipes from A Veggie Venture, sign up here. Once you do, new recipes and special posts will be delivered, automatically, straight to your e-mail In Box. Drunk drawer?! That is hilarious! What vegetables have the most SOLUBLE fiber? I'm not much of a cooker, and while i try to eat as much raw fruits veggies and minimally-processed foods as i can, i still find myself with bouts of constipation. Soluble fiber, i understand, is more benefial for constipation than insoluble fiber. Do you have a list of high Soluble fiber vegetables Alanna? Anonymous ~ Sorry, no, I don't have that information available, what I work from is the USDA nutrition database and it doesn't provide that information. Have you tried a morning bowl of oatmeal? Just 1/4 cup, cooked, works for me, see Oatmeal: How & Why to Cook It Every Day.